HIGH POINT, N. C. (April 2012) - Marge Carson's always-spectacular fabrics run the gamut, this spring, from ethereal to bold. And they are textural - at every turn. "Texture is always an important element of Marge Carson upholstery," says Christine Rendino, who leads the fashion design team. "Linens continue to be an important addition to our line while soft chenilles with a more matte finish are also being used extensively this market. And, as always, silks are influential, ranging from color-drenched dupionis to appliqued and embroidered patterns." That textural look - as seen in the "Mahi Shimmer" linen, embroidered with an ogee pattern that's further enhanced by metallic sequin outlining - is unerringly lush, it's luxe and, most of all, it's livable. Beyond texture, "patterns are generally cleaner and more contemporary," Rendino adds. "Fashion designers have inundated us with pattern - patterns on pants, patterns on jackets and even patterned shoes. And we love how these fresh, contemporary patterns translate to home furnishings."  Capturing the freshness of the trend, for instance, is "Hidalgo Zebra," with a surprise element of multicolored earth-tone stripes. Color, as always, is important, too, with the overall palette slightly lighter and more casual. This spring, there are bright accents of color including persimmon, red and blues of all varieties. And neutrals - always a hallmark of Marge Carson - include bronzes and soft grays that lean more toward taupe. In fact, Marge Carson sets the standard when it comes to fabrics; their design teams search the world over for unique, fashion-forward materials that are cutting edge in color, texture and construction. A warm blend of earth tones with shimmering metallic strands produces fabrics that make the light dance before your eyes - a look and feel that is uniquely Marge Carson's. That translates this market to a number of new upholstered pieces, including a sofa from the company's new Trianon Court Collection. The 86-inch seating piece, inspired by the intricately carved detail on one of the group's signature beds, is being shown in a smoky blue velvet chenille, accented with pillows in a smoky blue-and-ivory silk jacquard in a contemporized damask pattern. It features the new "Pompeii" finish - silver leaf that is warmed and enhanced by taupe burnishing - creating an overall ethereal effect. 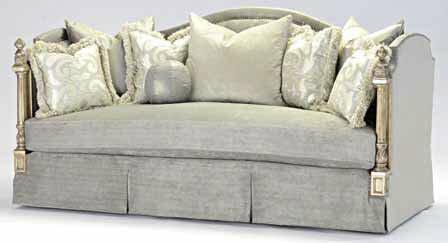 Another showstopper this market is the Chesterfield-style "Santiago" sofa. The epitome of casual sophistication, it's being shown in a textural linen, complemented by "Leather Leopard" hair-on-hide pillows, antique brass nailheads and another one of the new wood finishes, "Oxford Noir." And in terms of sectionals, the new "Manhattan" is all but unmatched. 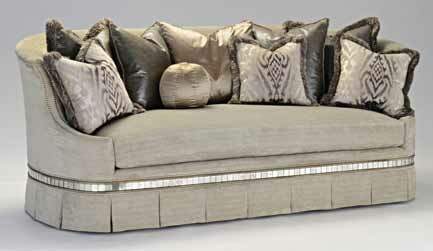 All-over tufting gives it an inviting quality that practically begs you to sit down and stay. Part of its inherent beauty, too, lies in how easily it can be dressed up or dressed down. Decked out in a taupe velvet, accented by a "Spectacular Floral" satin embroidery, it takes a decidedly formal stance. But upholstered in "Cement Leather," complemented by the "Destination Multi" - inspired by a Japanese wood block print - it takes on a more casual point of view. No market would be complete, however, with a "Wow" sofa and, this time, "Serafina" - with its beautifully curved shape - takes the honor. Stunning details include a perimeter bordered with wood trim, framing an antique mirror tile inset at the skirtline. What's more, the fabrics are equally striking; soft dove gray velvet upholstery, "Bulldog Smoke," is accented with pillows in "Naga Smoke," a chenille ombre ikat pattern, and "Sign Slate," a silvery satin. "Wow," indeed!